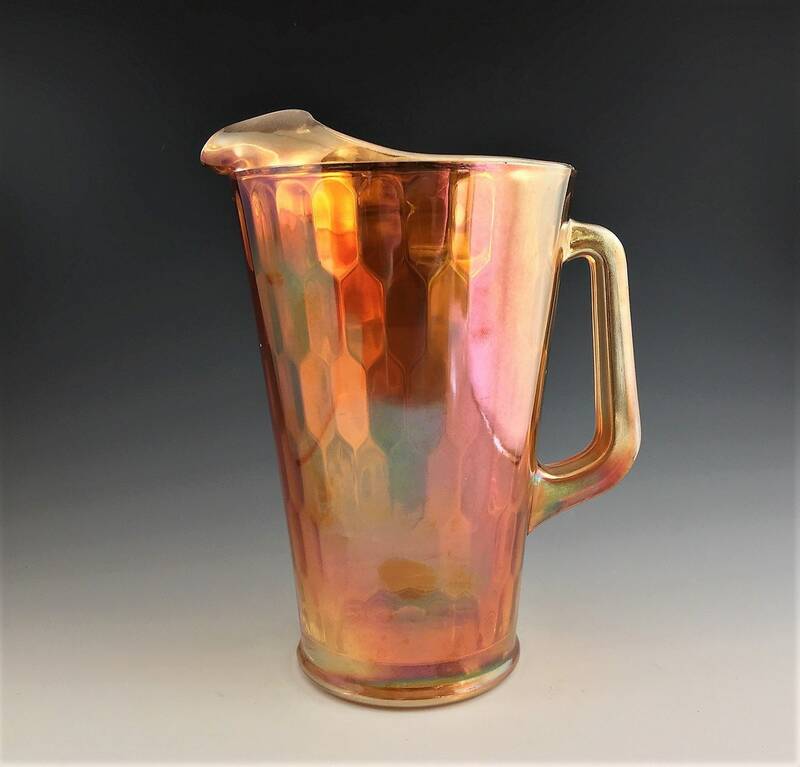 Featured is a super nice Jeannette Carnival Glass Pitcher in Marigold, and a nice Iridescent Hex Optical pattern. 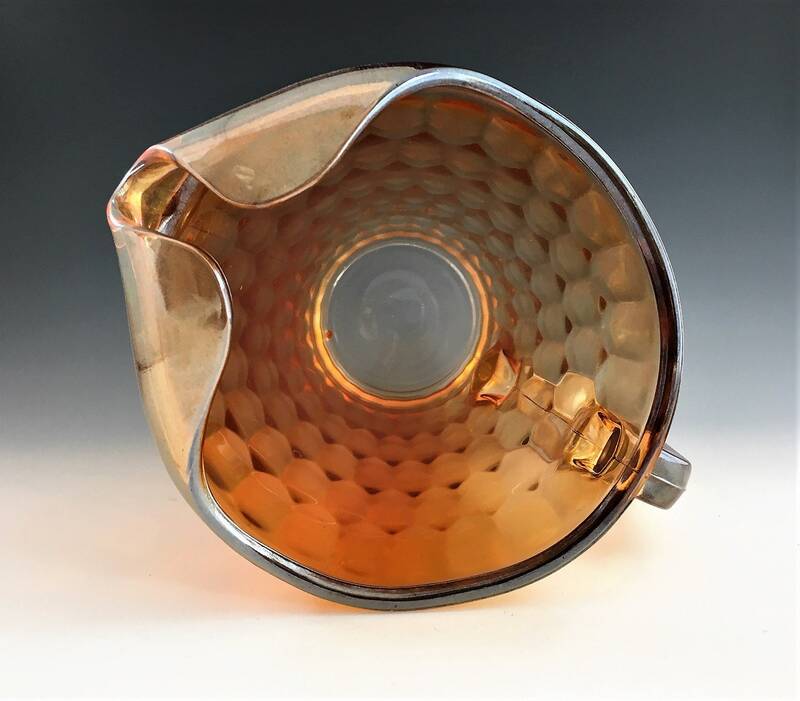 This great Vintage Barware or Kitchenware Pitcher is a lustrous Peachy Gold that shimmers and reflects the optic, honeycomb design. This vintage pitcher is likely circa 1940's-1950's and will mix nicely with many contemporary tableware designs. The large heavy (4.5 pounds) glass pitcher is in excellent condition. Serve up a large pitcher of margaritas or iced tea, or use for serving ice water at your holiday dinner table. 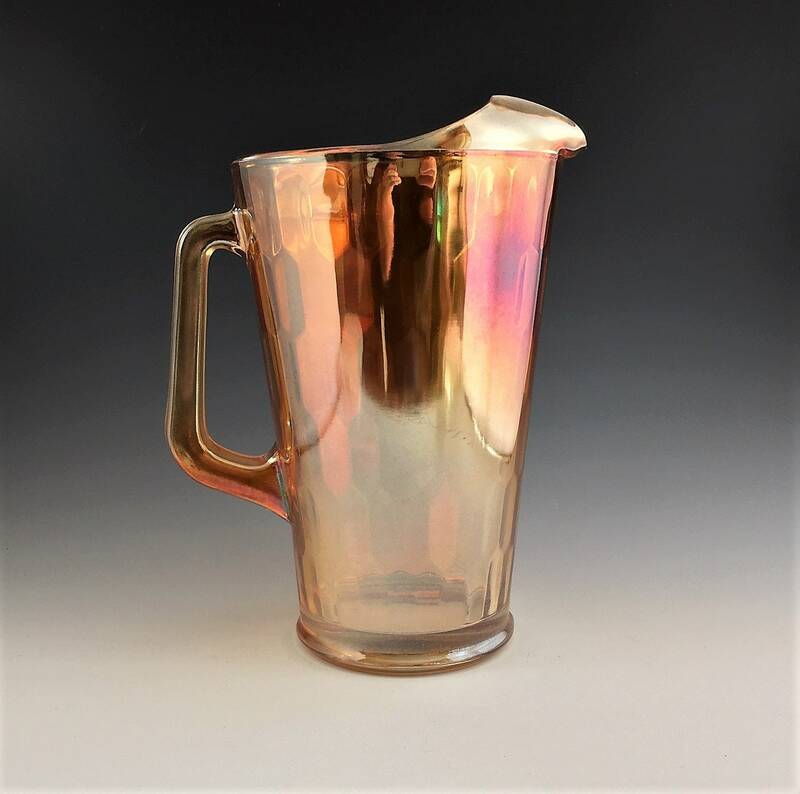 This vintage hex optic pitcher holds about 64 ounces, and it is a well-made, sturdy serving item with a curved pour spout to help keep the ice in the pitcher. 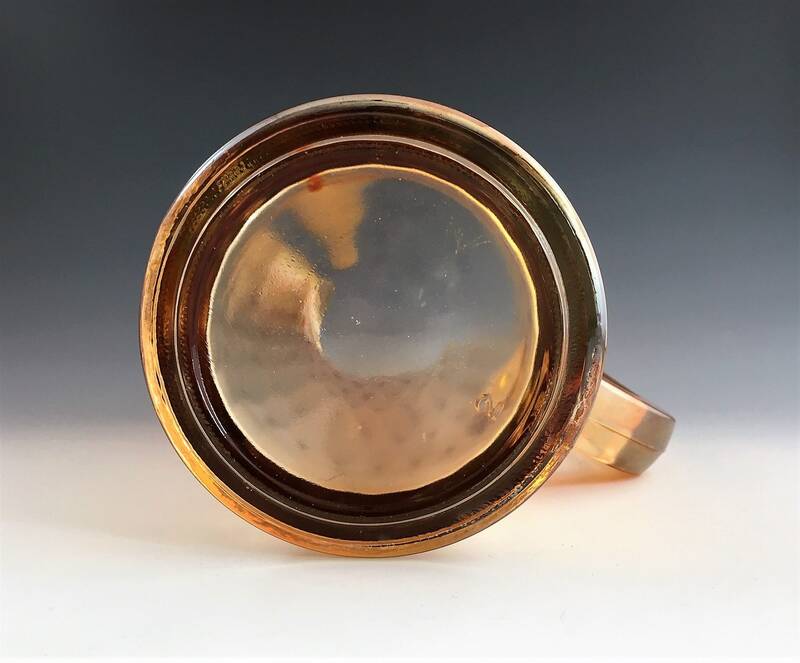 The color is a iridescent gold with shimmers of opalescent pinks, oranges and gold, it really shines with light reflecting off the surface. absolutely gorgeous. Jeanette is well known for quality glasswares and also designed drinking glasses to match. This Hex Optic Water Pitcher is in excellent condition, free from chips or cracks. Marked 2 on the bottom.